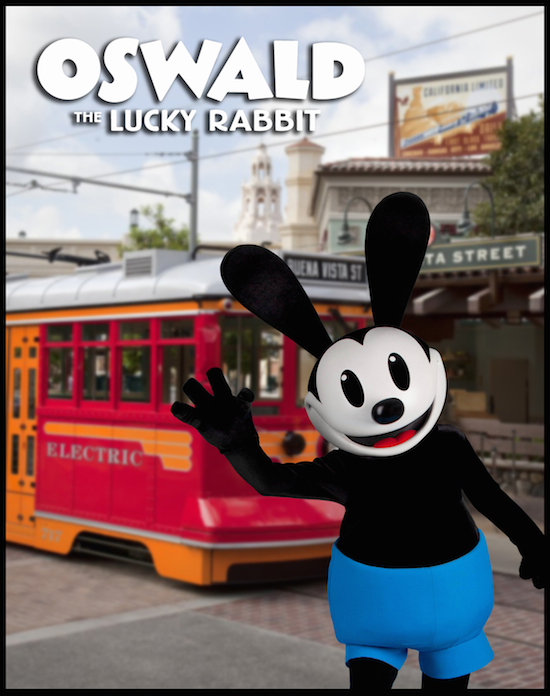 Starting on September 14, 2014, Oswald the Lucky Rabbit will be meeting guests at Disney California Adventure Park. This will be his first appearance at the Disneyland Resort. His meet and greet area will be along Buena Vista Street. Oswald was one of Walt Disney’s first animated characters. “Trolley Troubles” was the first film he appeared in on September 5, 1927. Thank you for reading and stay tuned for more great information on all things Disney Characters & Disney Travel. Posted on September 2, 2014, in Announcements, Disney Characters, Disneyland and tagged Characters, DCA, Disney California Adventure, Disney Characters, Disneyland, DLR, Oswald the Lucky Rabbit. Bookmark the permalink. Leave a comment.